Oh, to be a kid again! With a pinch of fantasy, a sprinkle of whimsy and a whole lot of fun, Freddie & Ava’s Kids’ Play Canopies are cubbies with serious style. These glorious canopies bring some welcome versatility to the classic kids’ hide-out – and their fairytale-like design takes nurseries to the next level. Freshly launched and oh-so-pretty, Freddie & Ava’s Kids’ Play Canopies are the products of one mum’s vivid imagination and flair for design. 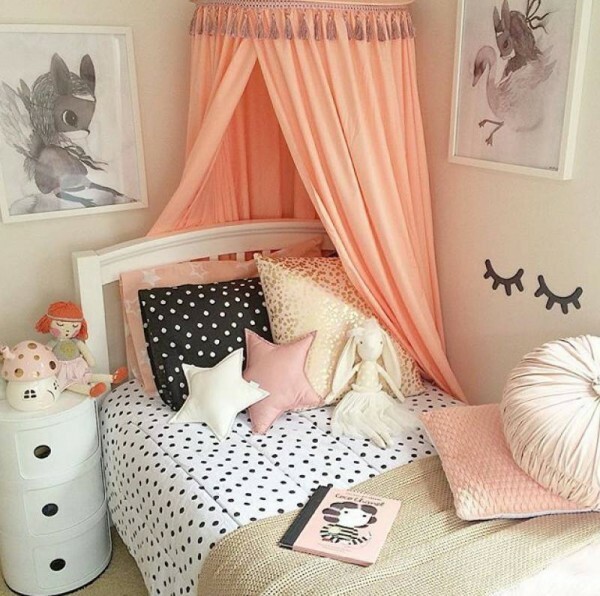 Available in Baby Pink, White, Light Grey and Peach, these hanging canopies attach easily to ceilings to create perfect little hideaways for kids and their buddies. The canopies are made from high quality polyester and are soft to touch. They measure 280 cm x 62 cm, big enough even for adults to stand inside – but don’t hold your breath! Parental knock-backs are likely, unless you have a magical power (or lollies). 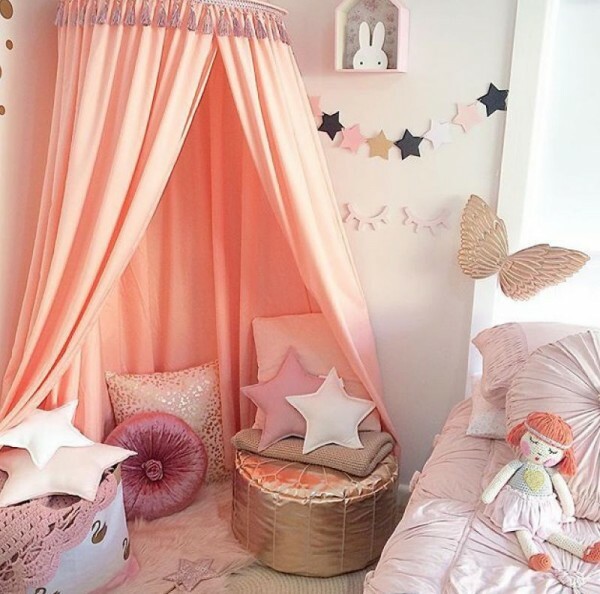 A small ribbon loop within the canopy enables kids to hang their favourite decorations and knick-knacks, and draw-back ties facilitate entrance to the enchanted worlds within. 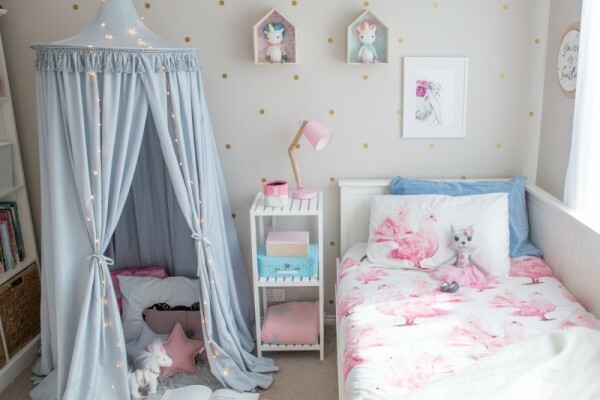 From reading nooks to bedtime cubbies, secret hideaways and dressing rooms, even a home for favourite toys – imagination is the only limit with these brilliant play spaces. Kids’ Play Canopies are $129 and available now for pre-order at Freddie & Ava. Check out our previous posts for more amazing cubby houses.